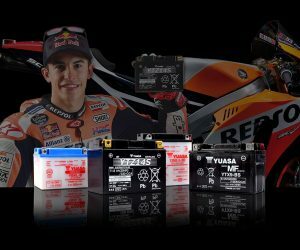 Buy any Yuasa motorcycle battery and you could be in with a chance of winning a Honda Fireblade, a Fourtrax ATV or other fantastic prizes. To enter, simply buy a Yuasa motorcycle battery from a participating retailer and ask for your scratchcard and receipt. Scratch to reveal your unique code, then enter your details below and upload a picture of your receipt. The competition closes at 11:59pm on 24 October, and winners will be selected at random. I have read and agreed to the terms and conditions of the competition, and to GS Yuasa’s GDPR and privacy policies. 1. To enter the prize draw, entrants must complete and submit the online entry form, including providing an image of the receipt as required by condition 7, by 11.59pm (GMT) on Thursday 24 October 2019 (“Closing Date”). Participants entering in any other manner will not be accepted. 2. The competition will run from 6am (GMT) on Monday 18 March 2019 to 11.59pm (GMT) on Thursday 24 October 2019 (“Promotional Period”). Only entries made during this period will be valid and included in the draw. Battery purchases must also take place in the Promotional Period. All entries received after the Closing Date will be automatically disqualified. 3. There are 112 prizes in 4 tiers. a. First tier prize, one Honda CBR1000RR Fireblade motorcycle. b. Second tier prize, one Honda TRX250M ATV. c. Third tier prize: 10 prizes of one MDS M13 helmet. d. Fourth tier prize: 100 prizes of one Yuasa YCX 0.8 Smart Charger. The colour and specification of each prize will be decided by Yuasa and may vary from imagery shown during the promotion of the draw. a. 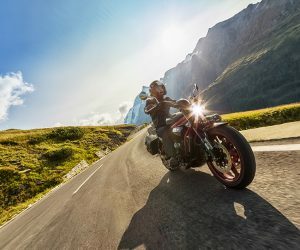 Purchase any qualifying Yuasa motorcycle battery (see condition 5) during the Promotional Period from a retailer participating in the promotion where they will then receive a promotional scratchcard in addition to their receipt. c. Enter the promotional code and all other personal details as instructed, including upload of receipt image and requested transaction information. 5. 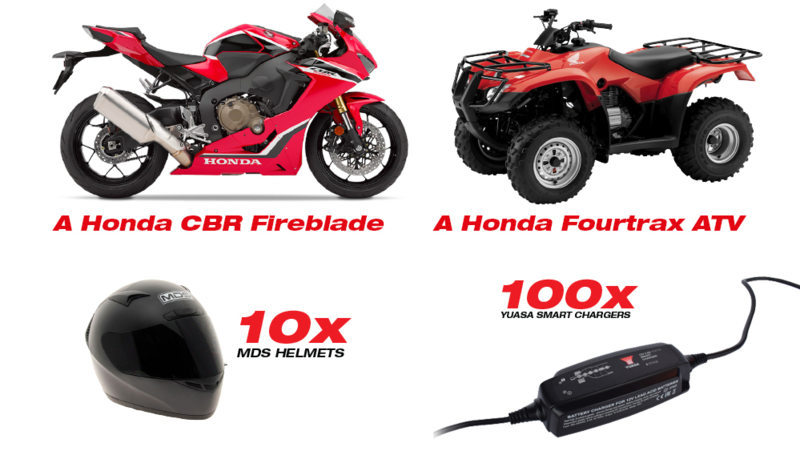 A purchase of any of the following batteries from a participating retailer during the Promotional Period will qualify for the competition, subject to the other terms and conditions: all Yuasa motorcycle and powersport batteries sold new in original packaging. (GYZ, YTZ, YTX, YIX, Yumicron, Yumicron CX, Conventional 6 Volt and Conventional 12 Volt ranges). 6. Entry is not possible without a scratchcard and valid receipt of purchase. 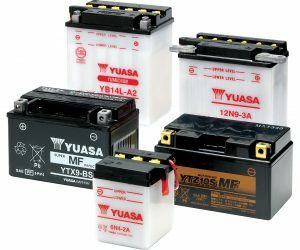 It is the entrant’s responsibility to obtain these when the qualifying Yuasa motorcycle battery is purchased. It is the entrant’s responsibility to request the scratchcard from the retailer at the time of purchase. The Promoter will not issue scratchcards directly to consumers in any circumstance. Scratchcards will be available from participating retailers whilst stocks last. 7. The entrant must complete all requested fields on the online competition entry form and upload a clear, legible image of the eligible transaction receipt which must include details of the retailer, the date of the transaction, that the product purchased is a Yuasa motorcycle battery as set out in condition 5 and the price paid. Failure to do this will result in the entry being rejected. 9. Entry is only open to residents of England, Wales and Scotland aged 18 years or over except employees of GS Yuasa, their immediate families or households, or anyone else professionally connected with the competition or its administration. 10. One entry can be made per transaction/receipt. Entrants are limited to a maximum of 10 entries. d. The next one hundred entries drawn will be awarded one fourth tier prize each. b. proof of transmission as proof of receipt of entry to the competition. 13. No cash alternative is available to the prizes and the Promoter reserves the right to substitute the prize with a prize of equal or greater value. The Promoter’s decision is final. 14. The draw will take place on Friday 25 October 2019 and winners will be contacted using the information submitted. The winners of the first and second tier prizes will need to collect the prizes from a Honda dealership specified by Yuasa when contacted. Please allow 5 working days for the third and fourth tier prizes to be delivered. The prizes are not transferable and may not be claimed by a third party. All prizes will only be delivered to the UK. 15. The Promoter reserves the right to ask a winner to produce the winning scratchcard and sales receipt before releasing the prize. If these are not available within 7 days, the prize may be deemed forfeited and the Promoter reserves the right to select an alternative winner. 16. The winner agrees to take part in any publicity connected with this prize draw. This may include media interviews, photographs and video as well as social media and promotion by the Promoter. 17. The Promoter will send the name and county of the winners of the tier one and tier two prizes to anyone who writes within one month after the Closing Date of the competition requesting details of the winners and who encloses a self-addressed envelope to the address set out at the beginning of these terms and conditions. The winners agree to the use of their names in this way. 18. If the prize is not claimed within 7 days, the prize will be deemed forfeited and the Promoter reserves the right to select an alternative winner. 19. Insofar as is permitted by law, the Promoter, its agents or distributors will not in any circumstances be responsible or liable to compensate the winners or accept any liability for any loss, damage, personal injury or death occurring as a result of taking up the prize except where it is caused by the negligence of the Promoter, its agents or distributors or that of their employees. An entrant’s statutory rights are not affected. 20. Entering the prize draw signifies the entrant’s consent to these terms and conditions and by accepting this prize; the entrant agrees to abide by the rules as stipulated. 21. These Terms and Conditions are governed by the laws of England. The courts of England and Wales will have exclusive jurisdiction over any and all disputes arising out of, relating to or concerning these Terms. 22. All personal information collected will be processed as set out in the Promoter’s GDPR and Privacy policies.